Ellen Winner studied with Himalayan shamans, Maile Lama, Jebi Bhandari and Mohan Rai* in Nepal, in addition to her training with the Foundation for Shamanic Studies, and later brought Maile Lama to the United States for several events. 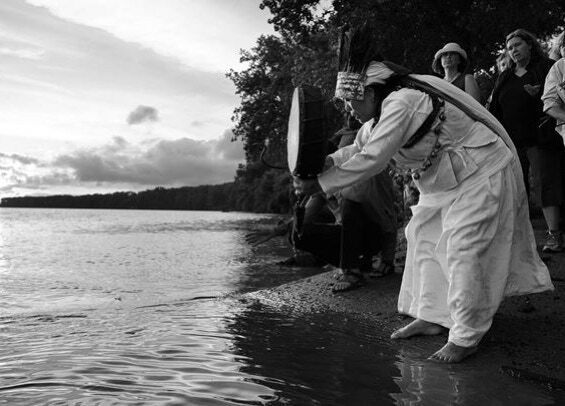 Maile Lama became a shaman in childhood. She was kidnapped at age 7 by the Banjhankri, a wild forest spirit who abducts children in order to make them into shamans. Banjhankri shamans are considered the most powerful of all the shamans in the Himalayas. The Banjhankri kidnapped her again at age 9, and once more at age 11, after which she studied with her shaman grandfather to learn the traditional shamanic practices of her ancestors, which are primarily in the ancient pre-Buddhist Bön tradition of Tibet and Nepal. She worked as a community shaman in her home village of Okhaldunga and later moved to Kathmandu. In 1989 she was selected as a teacher/healer by the Shamanistic Studies & Research Centre, Kathmandu, Nepal for her reputation and experience as an effective healer with an ability to impart her knowledge to foreign students and maintain them in a state of spiritual protection while transmitting the receptive states needed for possession by a tutelary deity. 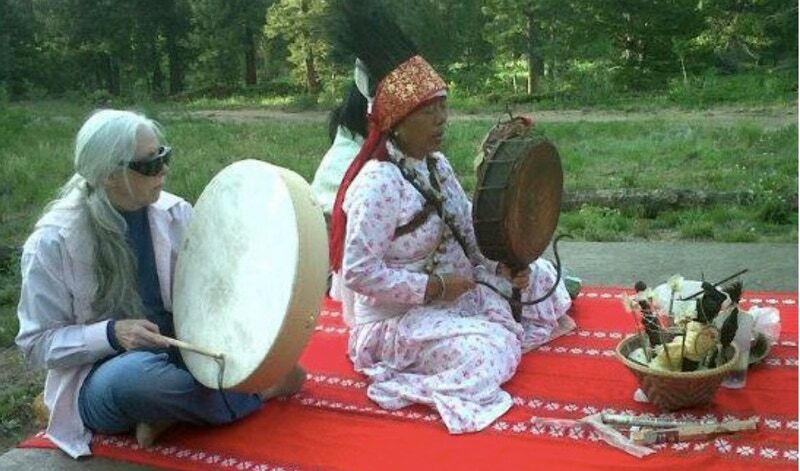 Maile Lama was featured at the First and Second Annual Cross-Cultural Shamanic Conferences in Boulder, Colorado in 2013 and 2014. She performed many exciting major healing, blessing and house-clearing ceremonies and provided her gentle, but powerful healing sessions for private clients while she was in the United States. Ellen Winner’s healing work is typically done using core shamanic techniques as taught by Michael Harner’s Foundation for Shamanic Studies, but she often uses typical Himalayan methods for extraction/soul retrieval and house, business and land clearings. Watch this 30-second video. *Jebi Bhandari is now deceased. Mohan Rai, also now deceased, founded the Shamanic Studies and Research Centre in Kathmandu, which is still being operated by his sons. * Jebi Bhandari and Mohan Rai have since died. However, Mohan’s son continues to operate his Shamanistic Studies and Research Centre in Kathmandu. Mohan Rai was the son of a famous shaman of Bhutan who tried to evade his own shamanic calling for many years until the spirits intervened, destroying his health, his relationships, and his successful career as a Himalayan mountain guide, until, hitting bottom, he ended up in prison in the United States. While in prison, his basic generous nature asserted itself in helping his fellow prisoners and corresponding with Ellen Winner detailing his shamanic experiences with his famous father and the events that led to his confinement. Ellen Winner tells his story from his letters in her book, World Shaman, available at Amazon.com.